On this day in history, January 15, 1783, General William Alexander, Lord Stirling, dies at Albany, New York. William Alexander was born in New York in 1726 to a wealthy family involved in provisioning the British army. 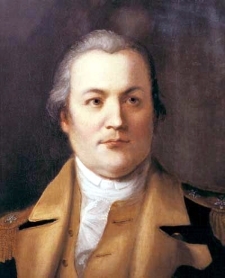 Due to his experience in provisioning, Alexander joined the army's commissariat during the French and Indian War and eventually became chief aide to Commander-in-Chief William Shirley. During this time, Alexander first met and became friends with Colonel George Washington. In 1756, while on a trip to London, Alexander learned that he may be the oldest male heir to a vacant title, the "Earl of Stirling," a position that carried with it a vast land claim, including parts of Nova Scotia and the entire St. Lawrence River Valley. He made an appeal to Parliament which granted his claim. However, in 1762, the House of Lords decided he had not adequately proven his pedigree and removed the title. Alexander had already returned to America by this time though and adopted the title Lord Stirling, which he would carry for the rest of his life. When the America Revolution began, Stirling became a colonel of the New Jersey militia and was celebrated for capturing a British transport at Sandy Hook. He was promoted to Brigadier General and given control of the defenses of New York, where he built Forts Washington, Lee and Stirling. He also recommended to General Washington that a redoubt be built at West Point, the foundation for the fort and later military academy there. When the British invaded Long Island, Alexander led a battalion of 300 men that held off the entire British army for several hours. Alexander's men were finally overwhelmed and he was captured, but the rest of the army was able to escape and Alexander was celebrated as a hero. After a few months in prison, he was traded in a prisoner exchange for Governor Montfort Browne, the Governor of the Bahamas. Alexander returned in time to fight at the Battle of Trenton where a Hessian brigade surrendered to him. Alexander was promoted to Major General and became one of George Washington's most trusted subordinates. He was third or fourth in command of the entire army for the rest of the war. 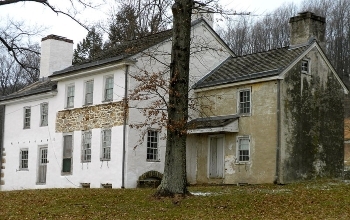 He participated in the battles of Brandywine, Germantown and Monmouth. He presided over the court-martial of General Charles Lee and was a member of the military court that sentenced British spy John Andre to death for helping Benedict Arnold. Alexander played a key role in exposing the "Conway Cabal," a group of officers that plotted to have Washington replaced by General Horatio Gates. When the war moved to the south, General Alexander was given command of the army's Northern Department in case of a new British invasion from Canada, making his headquarters at Albany. Alexander had many health problems and was a heavy drinker. In January, 1783, while at Albany, he had a severe attack of gout (severe arthritis) and passed away on January 15 at the age of 56, only three months before the preliminary peace treaty with Britain was signed by Congress.